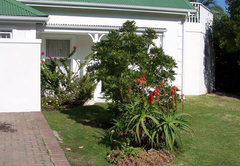 Riverclub 4204 is a property providing self catering in Plettenberg Bay for up to 5 guests visiting the Garden Route region. 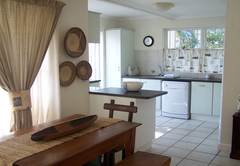 This delightfully relaxed holiday home is located in the sought-after River Club complex in Plettenberg Bay. 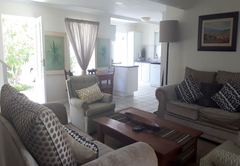 Riverclub 4204 is fully equipped for self-catering and offers the ideal home for families, comfortably accommodating two adults and three kids. 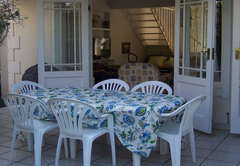 There is lovely private patio with barbecue which leads to a shared garden. 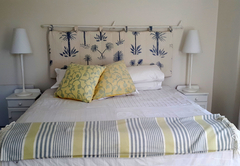 The king bedroom is downstairs with an en suite bathroom. 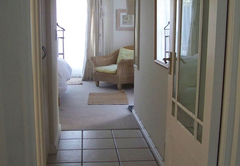 The room leads out onto the patio. 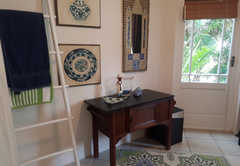 The upstairs bedroom is a beautiful loft style with en suite and air conditioning sleeping 3. This area shares a shower, toilet and basin. 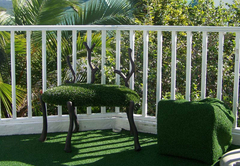 Also leading off from the loft is a sunny, private balcony ideal for sun worshipers. 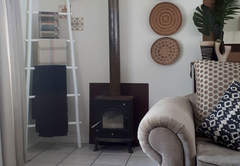 There is a cosy fireplace for winter and the decor is neat and has an African accent. All linen and bath towels are provided. 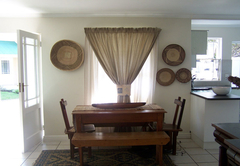 The open-plan living room is equipped with TV and DStv. The kitchen and lounge lead out onto a patio which borders onto a green belt and pond. 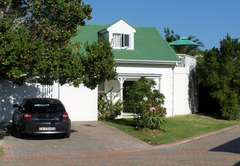 Situated on the banks of the Piesang River, The River Club is a secure and gated estate – just three minutes from either the pristine Robberg Blue Flag Beach or the more cosmopolitan Central Beach and the village of Plettenberg Bay. Within The River Club are two tennis courts, a swimming pool and squash courts which are available to guests. A small shopping centre - a convenient two minute drive away or an easy 700m stroll - has a chemist, bottle store, grocery store and two excellent restaurants. The Plettenberg Bay Country Club and golf course is only a kilometre away and the Wild Waters fun park with waterslides, pool, gym, mini golf, trampoline and casual day-time restaurant just a block away. Bedroom 1 is the main bedroom (with Queen bed) and en suite bathroom. The room leads out onto the patio. 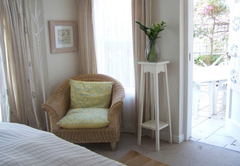 Bedroom 2 is located upstairs and is furnished with a single bed. 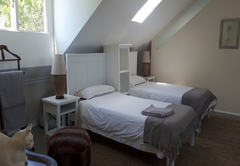 There is a spacious loft with space for two extra beds. 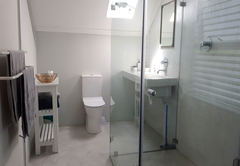 This area shares a shower, toilet and basin. 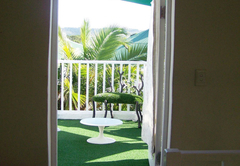 Also leading off from the loft is a sunny, private balcony ideal for sun worshipers. 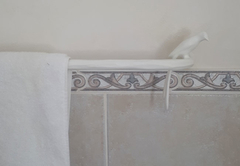 All linen and bath towels are provided. 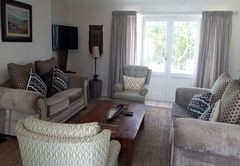 The open-plan living room is equipped with TV and DStv. The kitchen and lounge lead out onto a patio which borders onto a green belt and pond.